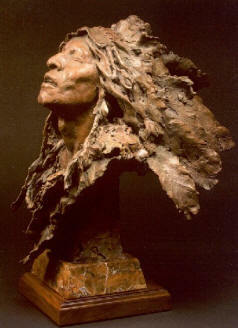 Born and raised in Southern California, John is widely regarded as one of today's most prominent Western artists. 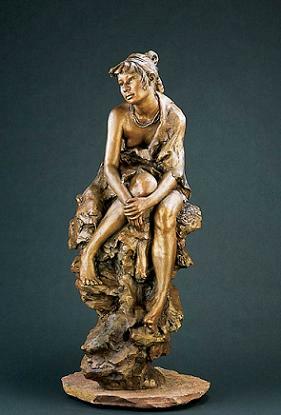 At the age of 44 he began his professional art career and today is known for his ability to capture the subtle side of the narrative of a sculpture. 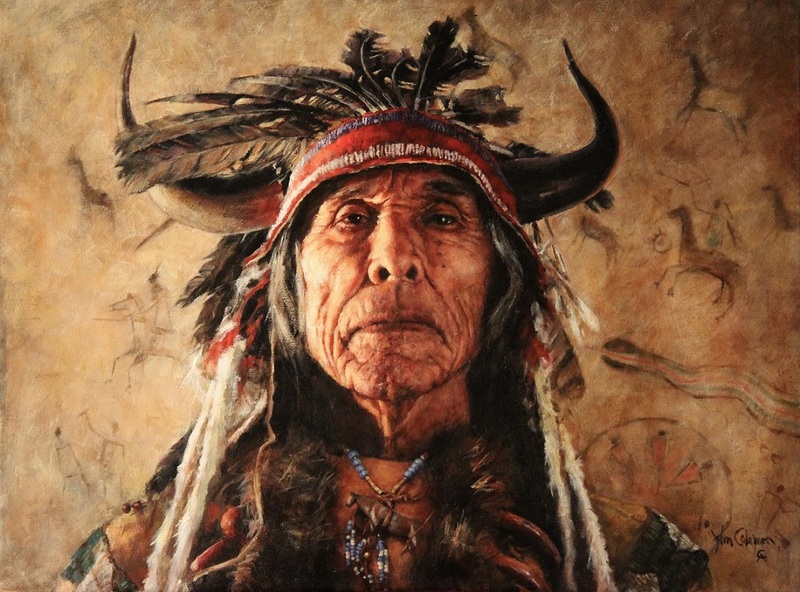 His skillful gestures, faces and the emotion they express lead the viewer through the story his pieces tell. 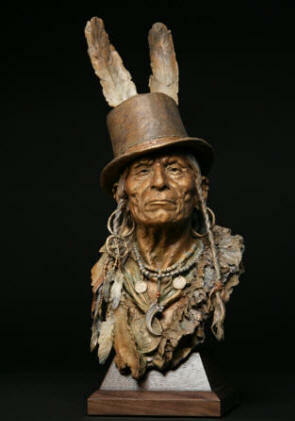 "My favorite type of art is the kind that tells a story that is deeper than what you see on the surface. 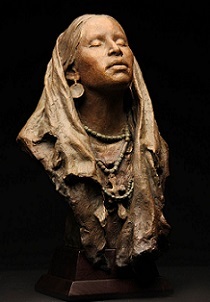 I believe art is about putting a physical face on a spiritual idea. 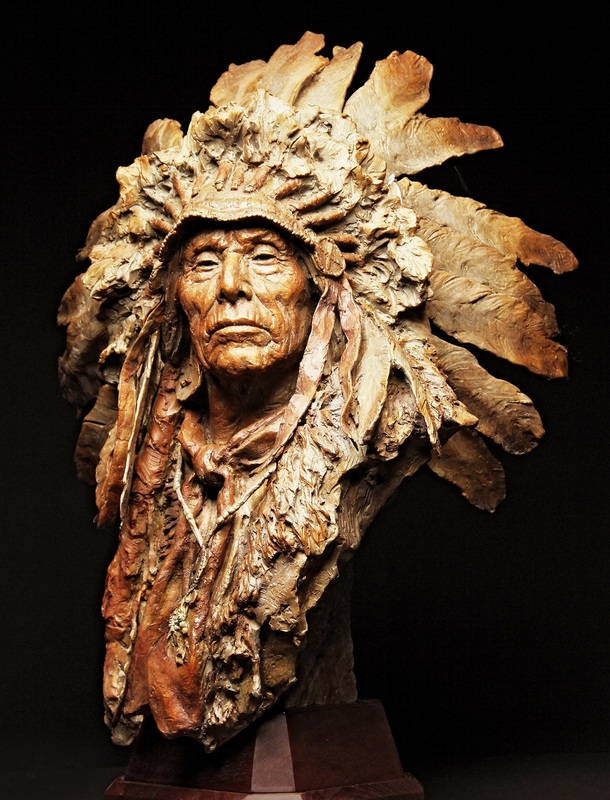 As an artist, I try to provoke the viewer's imagination and participation into my sculpture, to get them to question what is really going on." John was invited to join the prestigious Cowboy Artists of America in 2001. 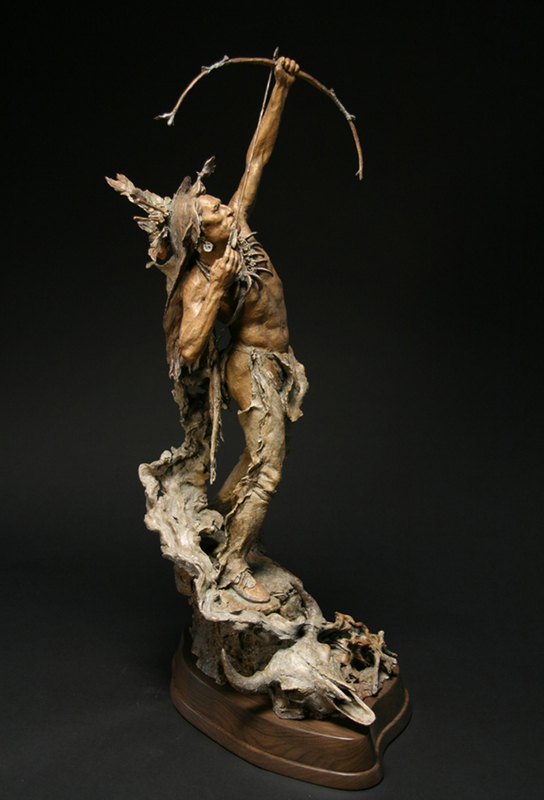 His first exhibit with the group was in 2002 and he received the Silver Medal in sculpture for his larger than life "Kokopelli." 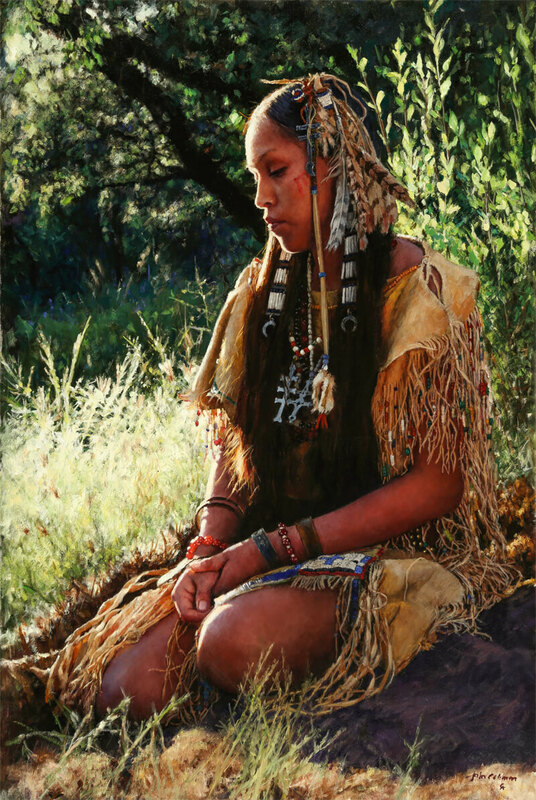 Another piece from that exhibit, "Visions of Change" has been placed in the permanent collection of the Tucson Museum of Art. 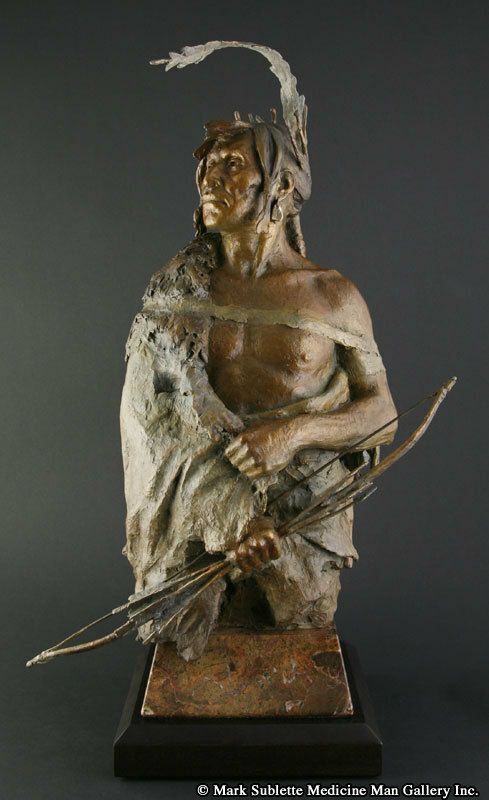 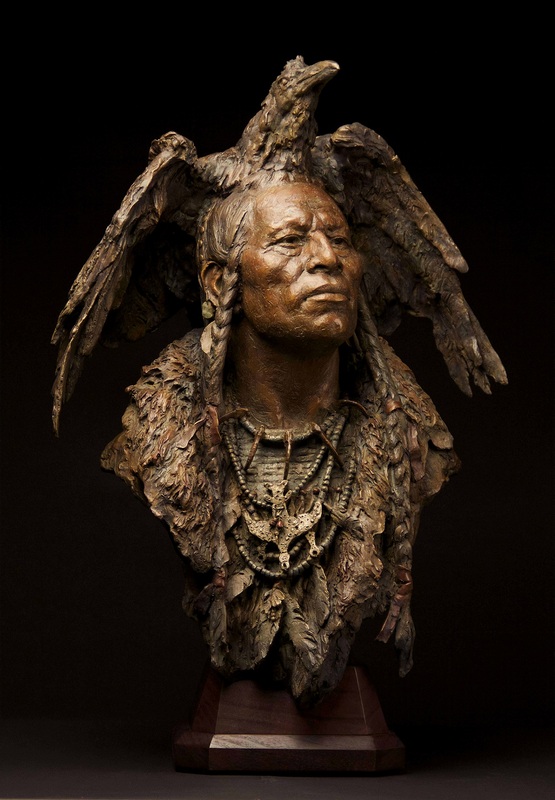 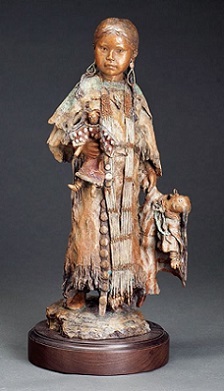 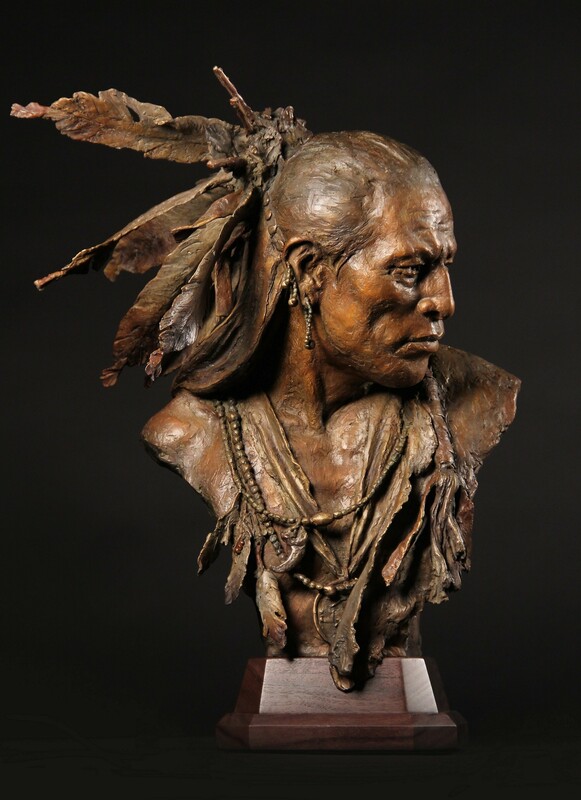 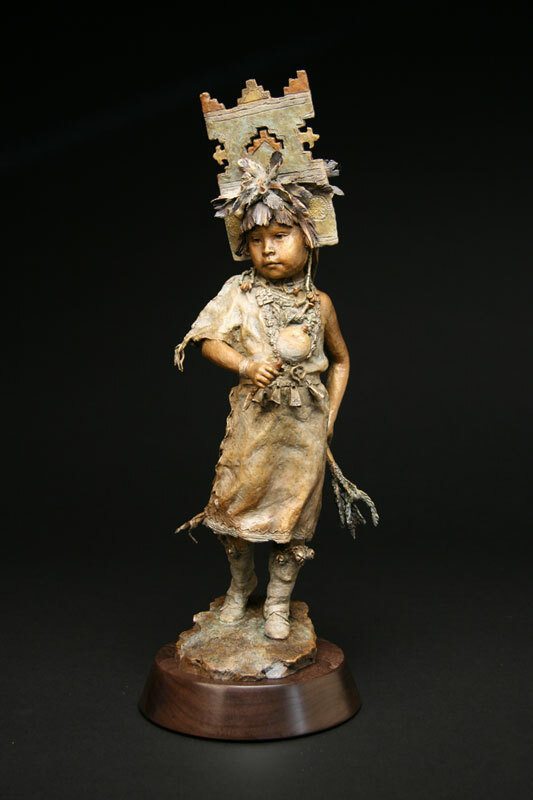 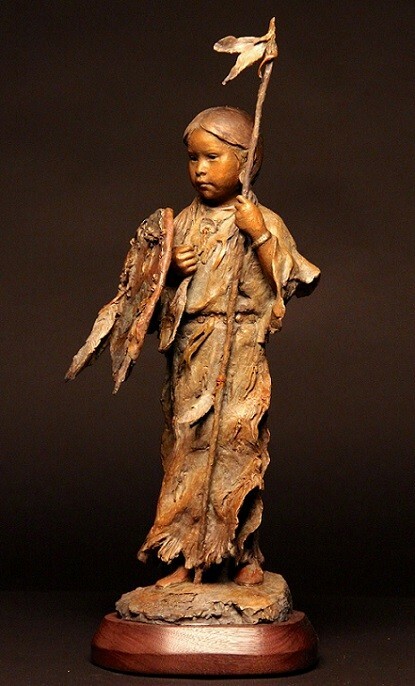 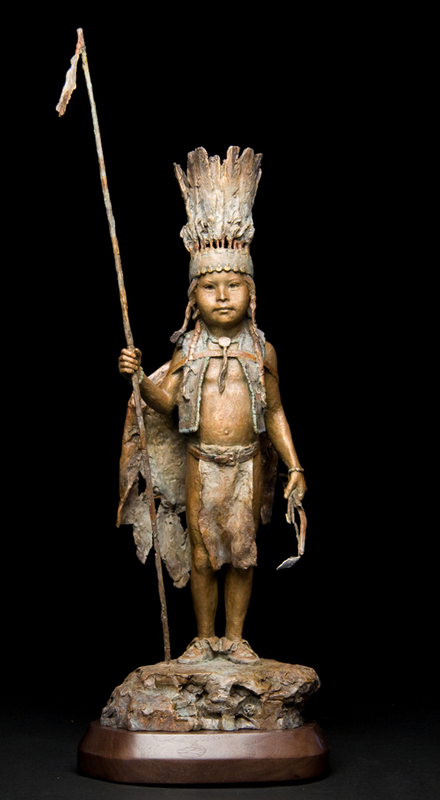 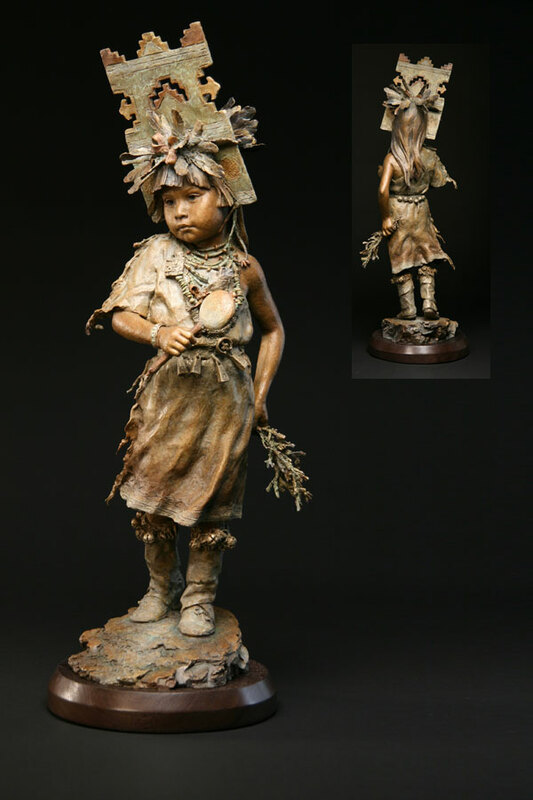 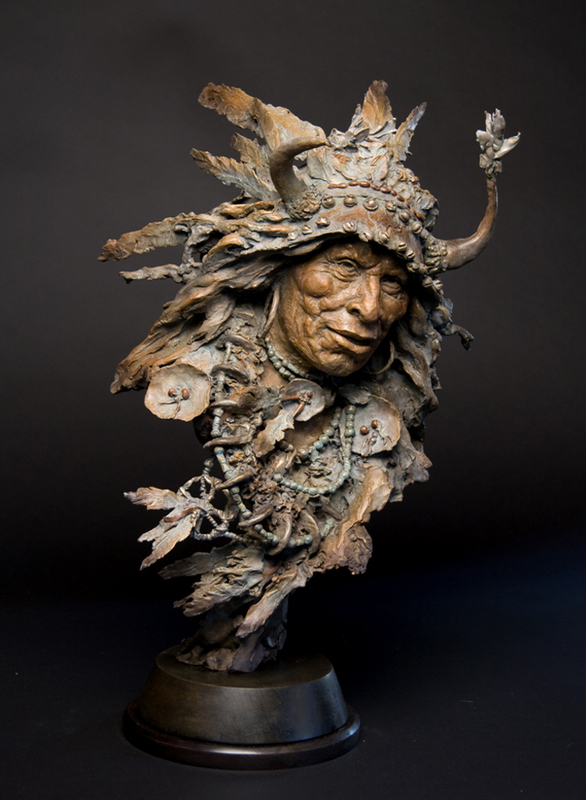 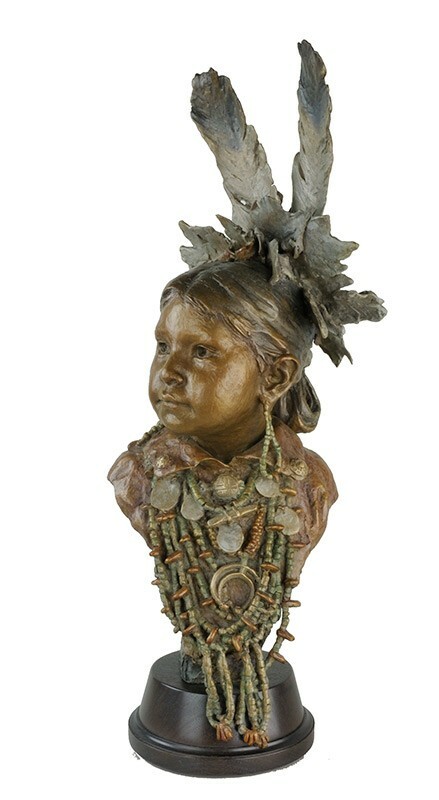 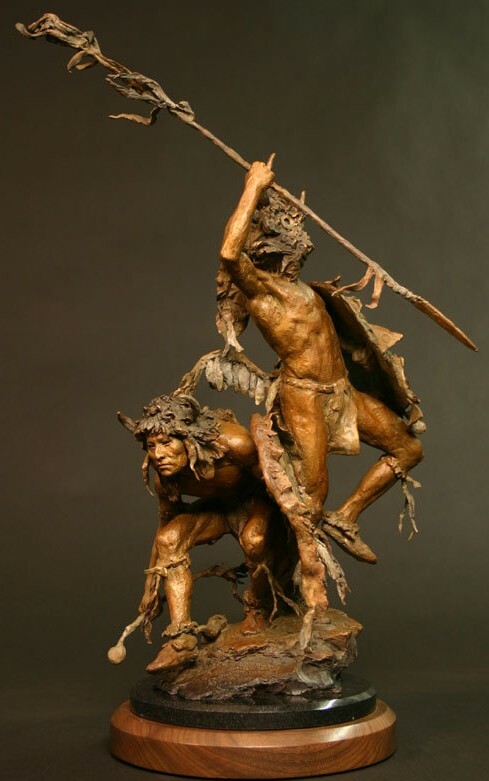 John received the Gold Medal for his life-size sculpture of "Addih-Hiddisch, Hidatsa Chief" from the "Explorer Artists, Bodmer/Catlin Series" at the Cowboy Artists of America Show. 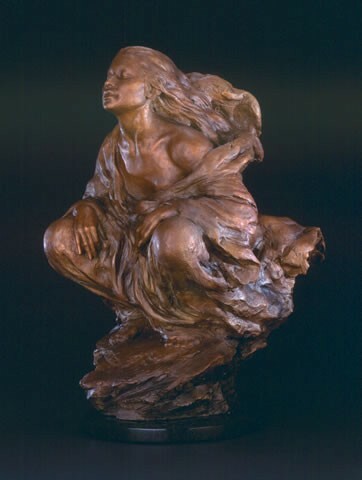 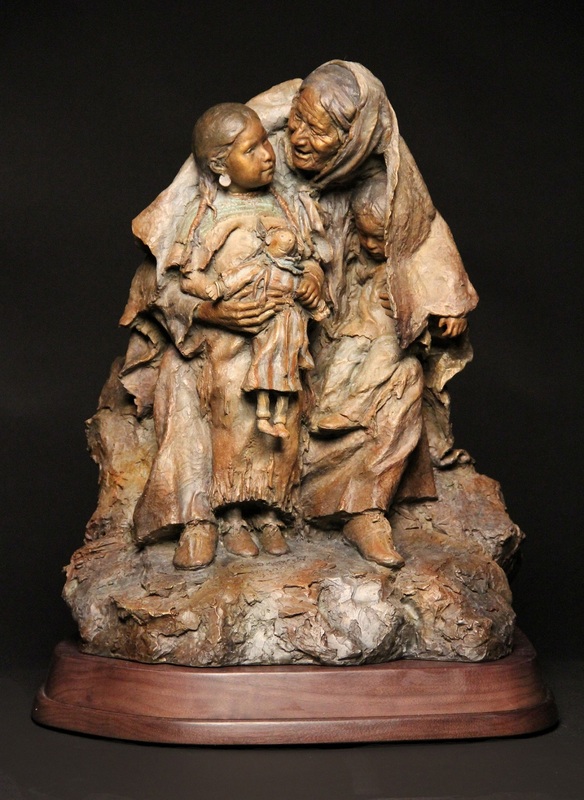 That sculpture also received the Kieckhefer Award for Best of Show and was placed in the permanent collection of the Phoenix Art Museum. 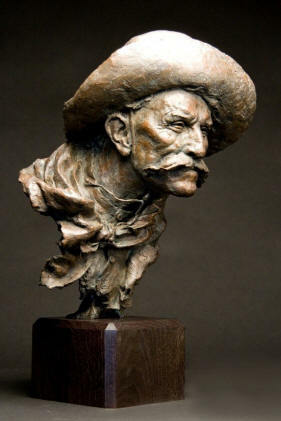 That same year, John received the coveted CAA Award for the best body of work, voted on by the members of the Cowboy Artists of America. He has won numerous Gold and Silver Medals for his bronzes at the CAA Shows. 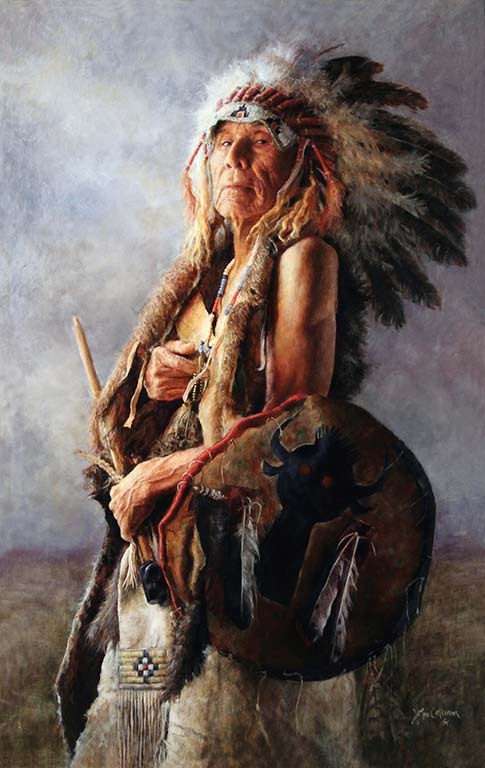 John won 3 Awards at the 2015 Cowboy Artist of America Show, including 1 Gold Medal for his charcoal drawing, 1 Silver Medal for his new bronze "The Healer," and another Silver Medal for his oil painting "Oracle of the Crow Nation." 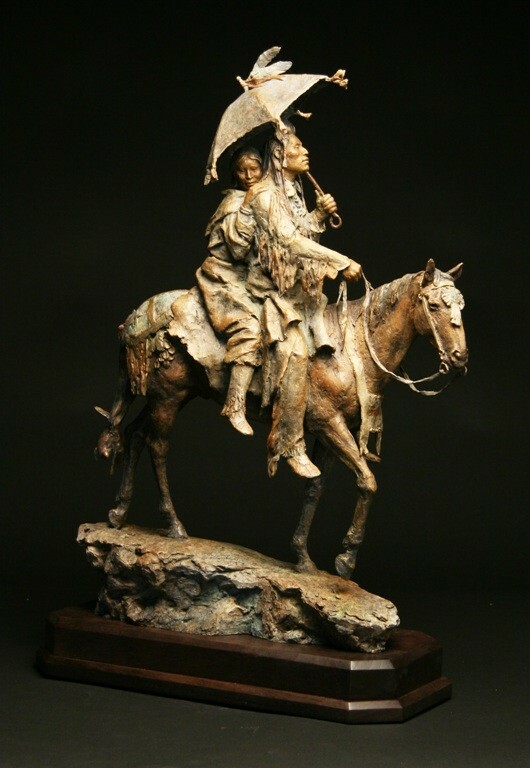 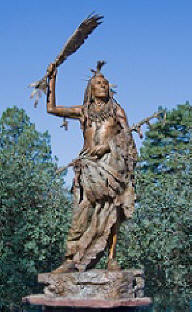 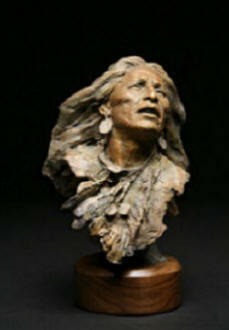 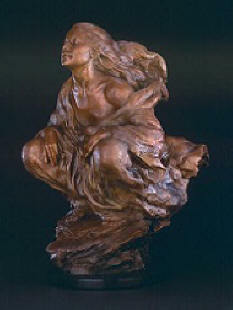 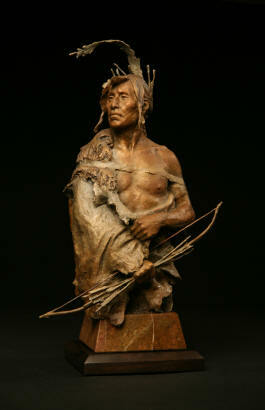 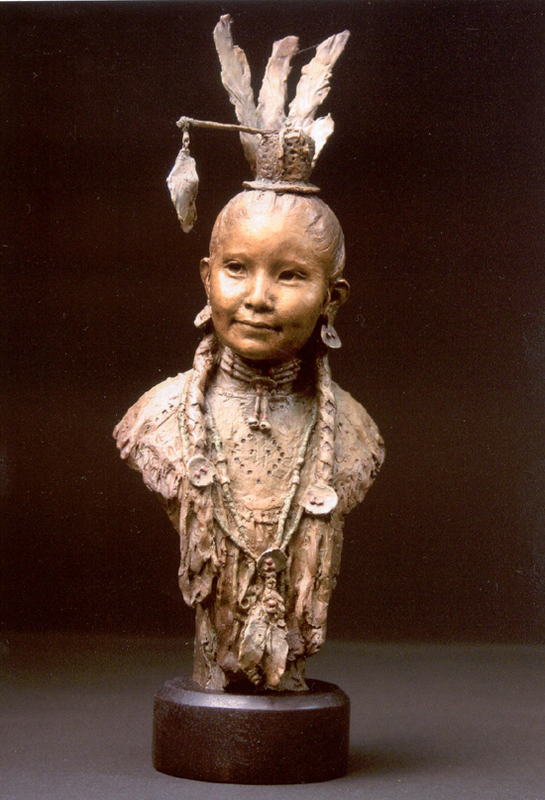 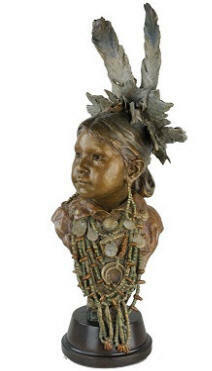 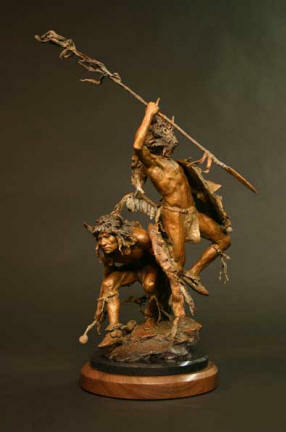 The Plainsmen Gallery is proud to represent the exceptional bronzes, paintings and giclees of John Coleman. 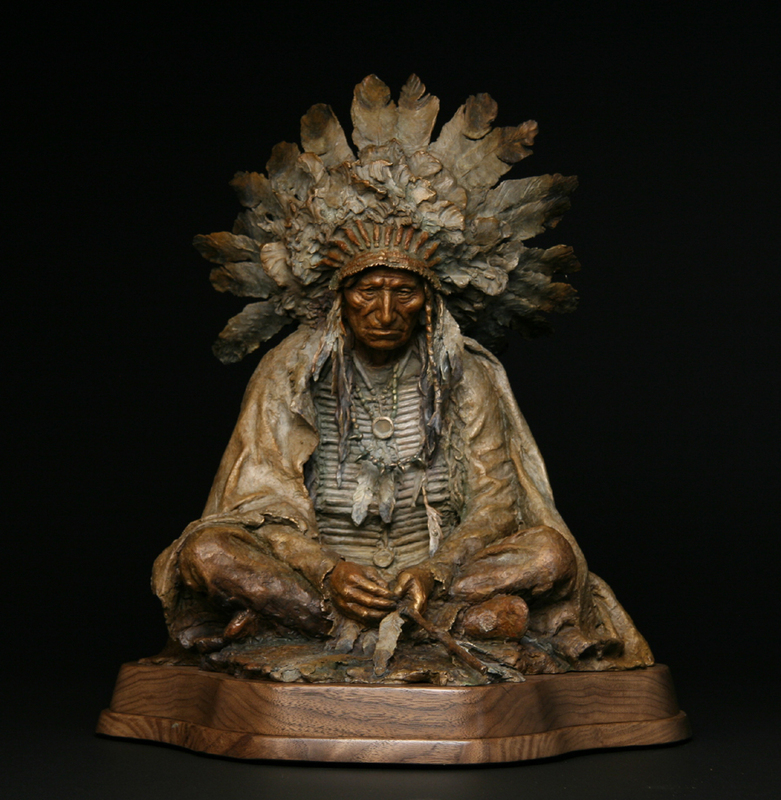 For more information about availability, or to purchase one of Mr. Coleman's pieces, call the gallery: 1-888-779-2240 or art@plainsmen.com. Email us to be added to our mailing list for information about John's new releases. Flexible time-payments are available!